In today's world of relentless digital transformation, employers are increasingly seeking data-driven insights and commercial justification to evaluate vendor services – human resources is no different. 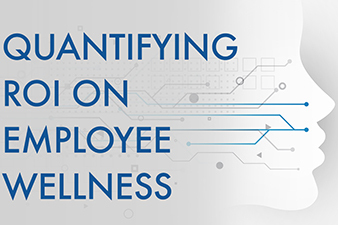 Using data analytics based on real-world corporate wellness programs, we are now able to quantify measurable impacts on engagement, stress, and fatigue, and estimate the impact that effective management of these human factors can have on corporate return on investment (ROI). A 0.2% improvement in productivity, gained through wellness initiatives, doubles the ROI of the program resulting in an average return of nearly $5 on every dollar spent.